London: J. Harris, 1806. 32mo. (16)ff. First edition, Moon's fourth state with 1806 date on front wrapper, but with SMC initials on the earliest-state engraved dedication page. 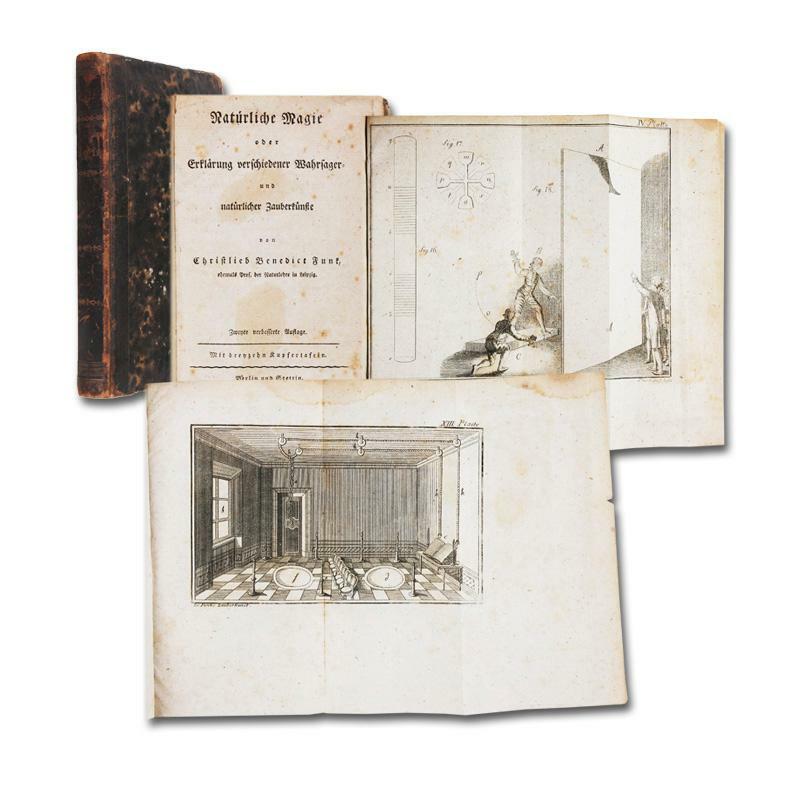 Illustrated with fifteen hand-colored copperplate engravings. According to Moon, this is the most significant children's book published by Harris, and surely one of the most famous children's rhymes of all time. Sarah Catherine Martin assembled the material, though its origins remain hazy. The name Mother Hubbard had been in use since 1591, and it has been argued that the first stanza, due to its different meter, is older than the others. Whatever its previous history, Martin's version has become the standard. Morgan says of this book: "It became an immediate best-seller in an era when most children's books were still in the somber clutch of the moral tale." Part of its popularity arose because some believed it to be a political commentary. So many copies sold in the first year that the engraving plates had to be touched up. The book went through numerous reprintings and even today remains popular. In publisher's printed wrappers, which show some soiling to exterior and one-inch split at tail of spine, with handwriting of former owner on upper wrapper. An unsophisticated copy of a chapbook with uncommonly strong plates, bright coloring, and exceptional literary significance. (Gumuchian 4327; Moon 559(1B); 561(2); Morgan 155). 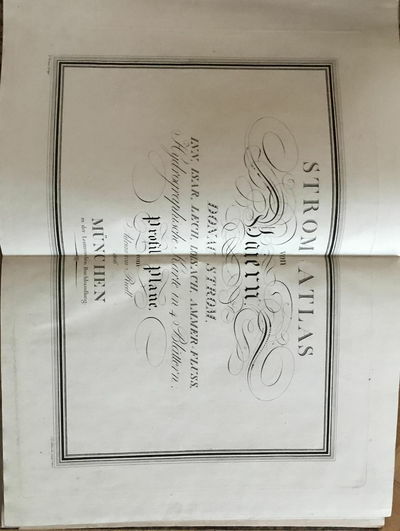 London: Printed for Longman, Hurst, Rees, and Orme, 1806. In four volumes. Contemporary navy half-calf, marbled boards, contrasting red morocco lettering-pieces, gilt. Rubbing to spines and corners. Horizontal tear to text of G2, Vol. I - without loss of sense, marginal loss to lower corner of O2, Vol. II, else internally clean and crisp. 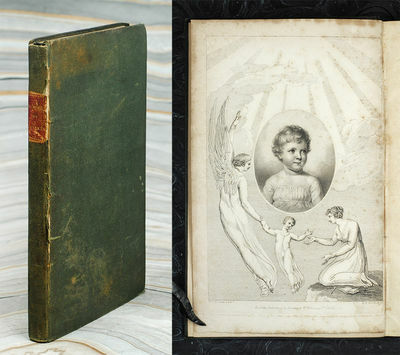 The first edition of the first collection of narrative pieces by novelist and poet Amelia Opie (1769-1853). 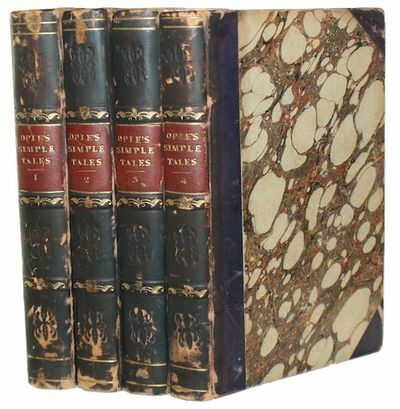 The tales, which vary in length from several pages to full volumes, embrace a broad spectrum of plots and modes, from the comic to the tragic, from the sentimental to the Gothic, and secured Opie both critical and popular approval. . First edition. 12mo. 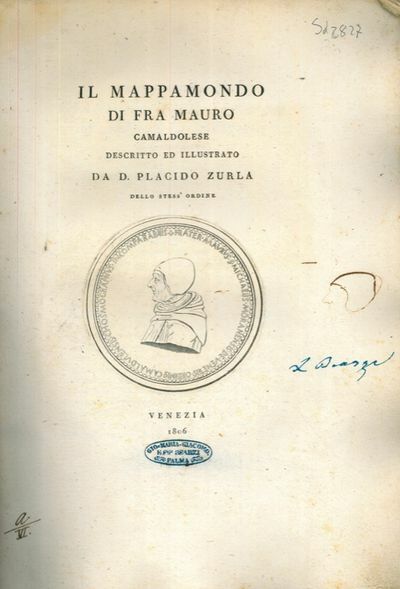 Il mappamondo di Fra Mauro camaldolese. Venezia, 1806, in-folio, brossura, copertina in cartoncino coevo muto, titolo manoscritto al dorso (con strappi e mancanze riparati) pp. 164, grande incisione circolare al frontespizio con ritratto a mezzo busto di Fra Mauro, una tavola a piena pagina incisa in rame ÒSaggio di caratteri e disegni del Mappamondo di Fra MauroÓ e una grande tavola ripiegata (cm. 42 x 46) ÒAbbozzo del Mappamondo di fra MauroÓ. Buona copia molto marginosa. Il mappamondo di Fra Mauro  un planisfero databile attorno al 1450 dove  rappresentato l'Ecumene, cio l'intero mondo con le tutte terre conosciute all'epoca. L'insieme costituisce una summa straordinaria del sapere geografico dell'epoca, assai importante non solo per alcuni contenuti assai innovativi (come ad esempio quelli relativi alla geografia africana), ma anche per le particolari caratteristiche di quest'opera, che per molti aspetti rappresenta un punto di raccordo - e al tempo stesso di separazione - fra la cultura medievale e quella rinascimentale. 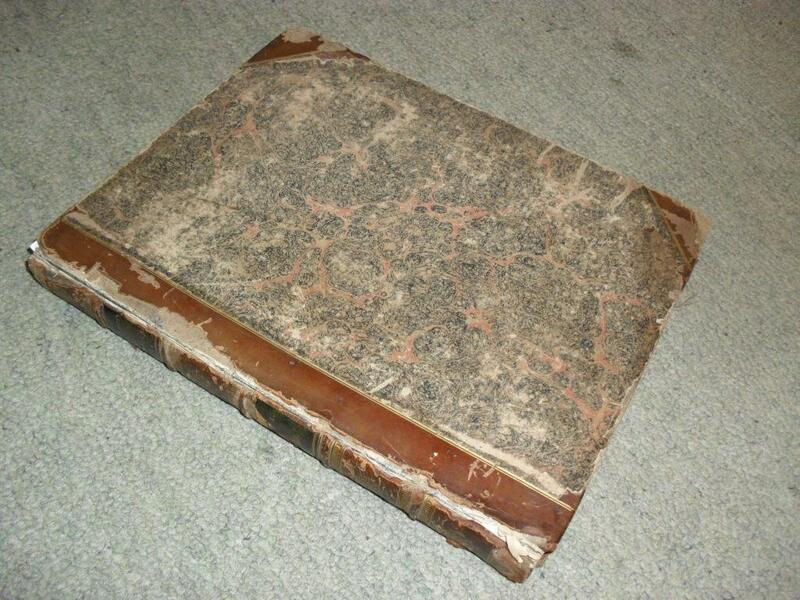 London: W. Miller, 1806. leather_bound. Contemporary brown Russia gilt rebacked with most of the original backstrip laid-down. Aeg. Very good. Folio, 8 page preface, and Table of Contents. 35 x 26 cm. Sixty hand-colored stipple-engravings (text watermark 1801 and plates 1804) engraved by Dadley after Pu-Qua each with accompanying text leaf. This work has text in English and French throughout. Perhaps the most famous book on Chinese costume; plates sharp and bright. 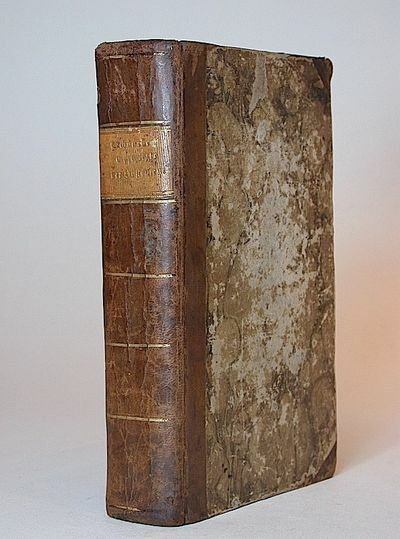 ABBEY TRAVEL 533 [1804 edition]. COLAS 2004. TOOLEY 320. 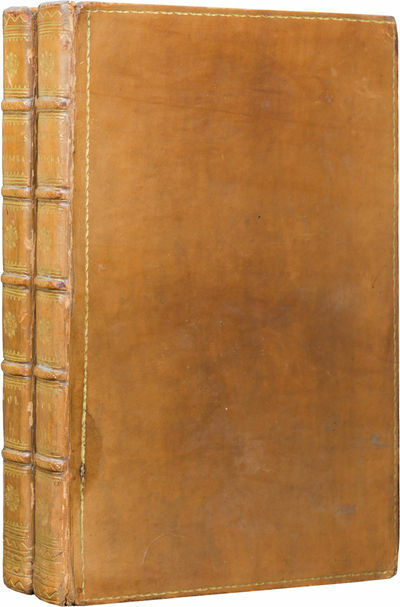 Rectangular three centimeter gilt paneled covers, brown endpapers, inner dentelles, toning to front free endpaper, bookplate of Auchincruve (House) and small signature of Alex Oswald head of Table of Contents. 2 ALS to ?My Dear Sir? 1806 - Manuscript in ink. 4pp. 4to. & 2pp. 8vo. 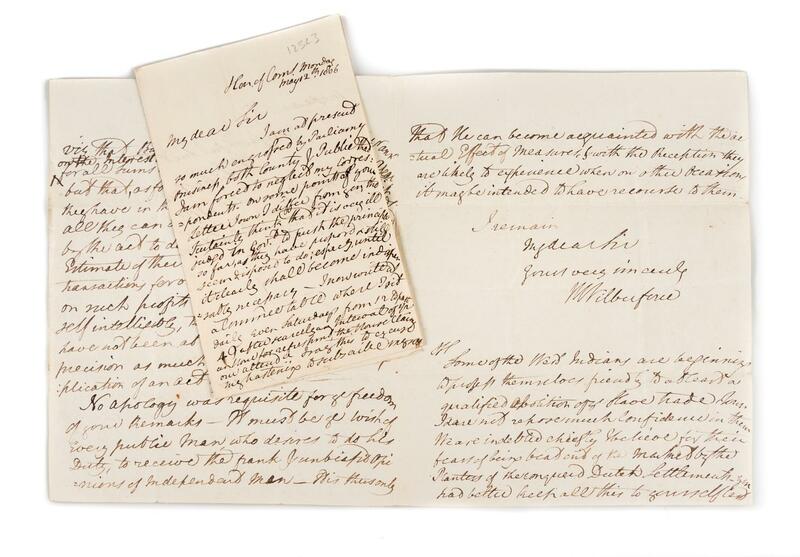 London, December 16th, 1803 and May 12, The first of these two letters contains Wilberforce's opinion on an act regarding finance. However, it also includes a lengthy postscript: ?Some of the West Indians are beginning to profess themselves friendly to at least a qualified abolition of the slave trade . I dare not repose much confidence in them. We are indebted chiefly I believe for their fears of being beat and of the marked by the Planters of the conquered Dutch Settlements - you had better keep all this to yourself lest an opposition should be stirr'd up among those who are interested in the African trade, which might crush these first shootings in the Bud.? The second is essentially an apology for his ?neglect of his correspondents? Both were written in the most important period of Wilberforce's life in the lead up to the abolition of slavery act passed in 1807. 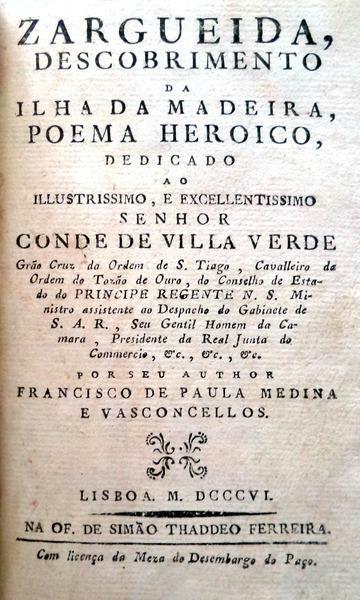 MEDINA E VASCONCELOS, Francisco de Paula. 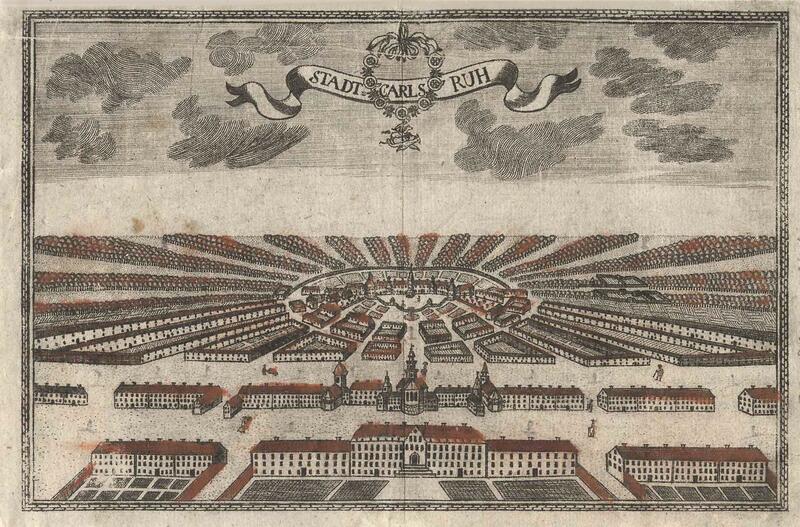 Gesamtansicht aus halber Vogelschau, "Stadt Carlsruh". - teilkol. Kupferstich aus der Zittauer monatliche Neuigkeitsträger, 1806, 15 x 23 Extrem seltenes Blatt. - Nicht bei Schefold. - Die Dächer der Häuser sind Rot koloriert. München, Lentner 1806 - (1808).. Mit doppelblattgr. gest. Titel, doppelblattgr. gest. Widmungsblatt und 23 doppelblattgr. (4 gefalt.) gest. Karten, 2 doppelblattgr. Aquatinten, sowie 9 weitere gest. Karten. HLdr. d. Zt. 52 x 38 cm. Lentner 4128 (unvollständig): "Selten. "; Engelmann 324; Cartographiae Bavariae 6.5 und 15.2: "Ein Meisterwerk. "; ADB XXVIII, 536: "Sein originellstes Werk." - Nicht bei Pfister. - Die von C. Schleich gestochenen Karten sind von größter Akkuratesse und genügen gleichzeitig höchsten ästhetischen Ansprüchen. - Dargestellt sind der Lauf von Donau (6), Isar (2), Loisach (2), Amper (1) und Inn (1), dann die großen Seen (Ammer-, Chiem-, Walchen-, Kochel-, Tegern-, Würm- und Schliersee. ); ferner sind enthalten 4 hydrographische Karten. Die beiden schönen Aquatinten zeigen zwei Monumente an der Donau. Zum Schluss 3 Tafeln zu Isar-Brücken. - Mit eingebunden sind die postum von J. G. Löffler herausgegeben neun Karten, in etwas späteren Abzügen: "Königs-See, Eyb-See, Simssee, Staffel- und Riegsee, Waginger See, Hopfen und Weillen-See, Niedersonthofner- und Alp-See, Boden-See, Seeoner-See". - Rücken lädiert. Titel verso gestempelt. Die Karten durchgehend sauber und in sehr guten Abzügen. Kst.- Karte, b. J. Walch, "General Charte über die sämtlich Königlich Preussischen Staaten nach astronomischen Beobachtungen .". - mit altem Flächenkolorit, dat. 1806, 45 x 61 Nicht bei Bott/Holzamer: "Von Danzig bis Riga". - Über der Karte Kopftitel. Erstmalig 1797 erschienen. Hier vorliegend die Ausgabe 1806. 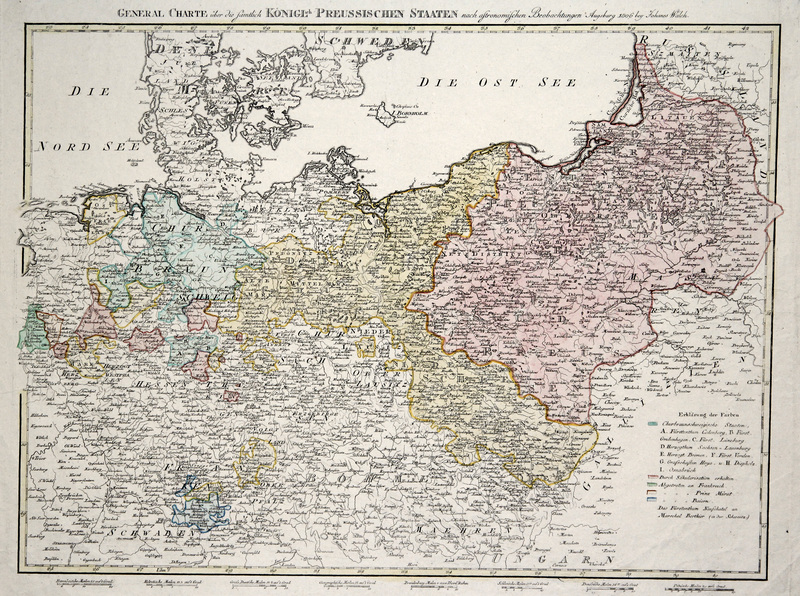 Eine interessante Karte, die die Gebietsabtretungen Preussens an die Franzosen darstellt. Lexikon deutscher Dichter und Prosaisten (5 Bände und 1 Supplementband. in 6 Bänden). Gr.-8. Mit 3 (2 teilkolor.) gefalt. gest. Plänen, 2 gefalt. Tabellen u. 2 gefalt. Verlagsbeilagen. Zus. ca. 2100 S., Interims-Kart.-Bde. d. Zt. (Bd. 6 abweichend Bde. 1-5 m. gedruckten Rückenschildern). Erstausgabe Bde. 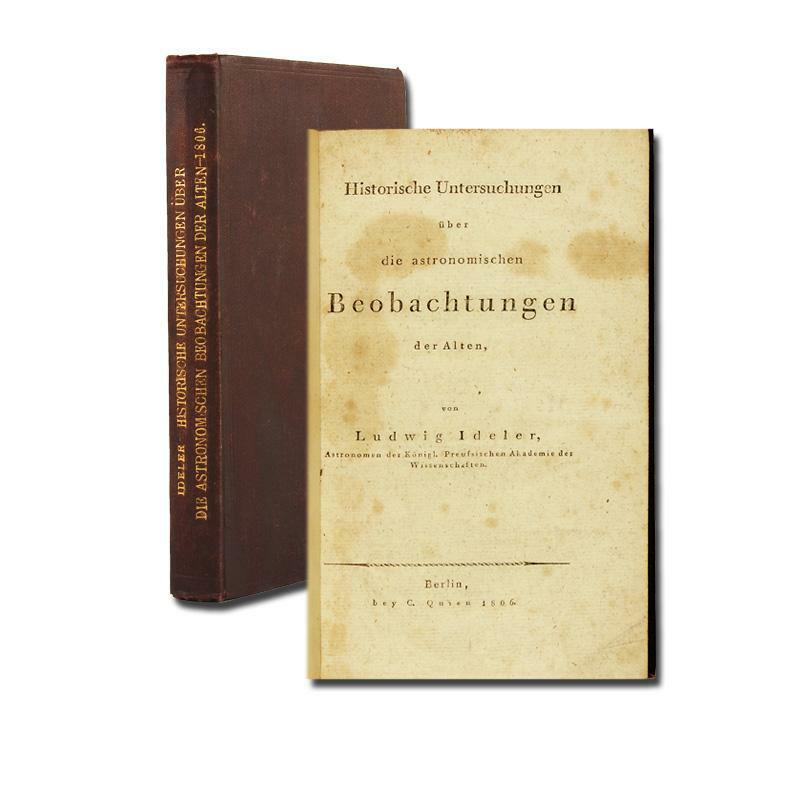 2-6 mit dem zusätzlichen Titel Beytrag zur Geschichte des Krieges in Preußen, Schlesien und Pohlen in den Jahren 1806 und 1807. - "Interessantes Journal, welches durch die freimüthige Beurtheilung der groben Missstände im preuss. Heere u. Staate s. Z. grosses Aufsehen erregte" (Hayn/G.). - Das Werk erregte wegen seiner freimütigen Schilderung der Mißstände im preußischen Heer großes Aufsehen. Cölln war 1805-07 Assessor der Oberrechnungskammer in Berlin. Wegen literarischen Verraths von Dienstgeheimnissen wurde er nach Erscheinen der Briefe verhaftet, konnte jedoch fliehen und erhielt schließlich auf Veranlassung Hardenbergs eine Pension, weil man seine Feder fürchtete (Kat. Reiss & Auvermann 53, Nr. 372). - Einbände etw. berieben u. bestoßen. Tlw. gebräunt u. stockfleckig. Unbeschnittenes, tlw. unaufgeschnittenes Exemplar. - Hayn/G. VI, 279 Walther 295, 1 u. 5 Hirschberg 87 Weller, Druckorte I, 207 vgl. ADB IV, 411f. Hamberger/M. XIII, 238. London, printed and sold by Darton & Harvey, Gracechurch Street, 1806.. 2 parts in one volume, early edition 1806, 12mo, 160 x 97 mm, 6¼ x 3¾ inches, pages: 48; 48. 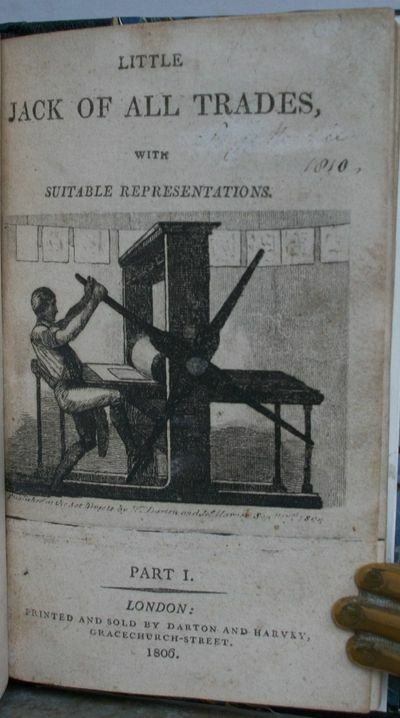 2 engraved pictorial title pages, the first showing the rolling press of the copperplate engraver, a further 22 very good engravings in each volume, each just under half page. Several depict printing and bookmaking: a printer's devil inks the type in the hand press, the copperplate engraver is shown at work, bookbinding (a woman stitches the leaves), and papermaking. Plus a wide variety of trades: carpenter, blacksmith, cabinetmaker, boatbuilder, tinman, tallow-chandler, turner, weaver, charcoal burner, auctioneer, pump maker, barber, lighterman, tambour worker, shot caster, potter, clock maker etc. Under each image is a poem of varying length followed by a page or two of descriptive prose. 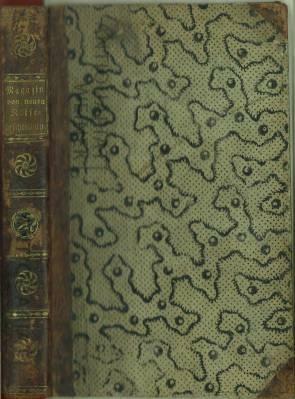 Rebound in modern half black morocco over marbled sides, gilt dividing lines, gilt lettered and ruled spine, raised bands with gilt floral motif, marbled endpapers. Name partially erased with date 1810 at top of first title page, same name to top of second title page, pages 16/17 in Part I have some early ink scribble in the margins, some margins slightly trimmed, no loss, occasional very light soiling to margins, very small printer's ink mark in 2 places, not affecting illustrations, all text easily readable. A very good copy. 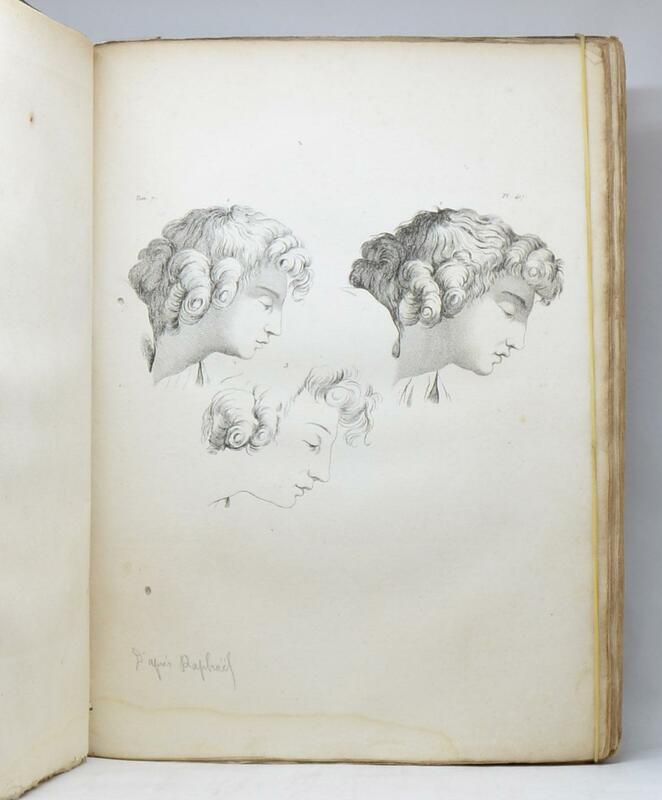 Our reprint has the same number of engravings as the first edition (1804 and 1805). The Dartons, page 62, G221 (4) and G222 (2); Osborne, I,114: "William Darton, in all probability, both wrote and illustrated the book. 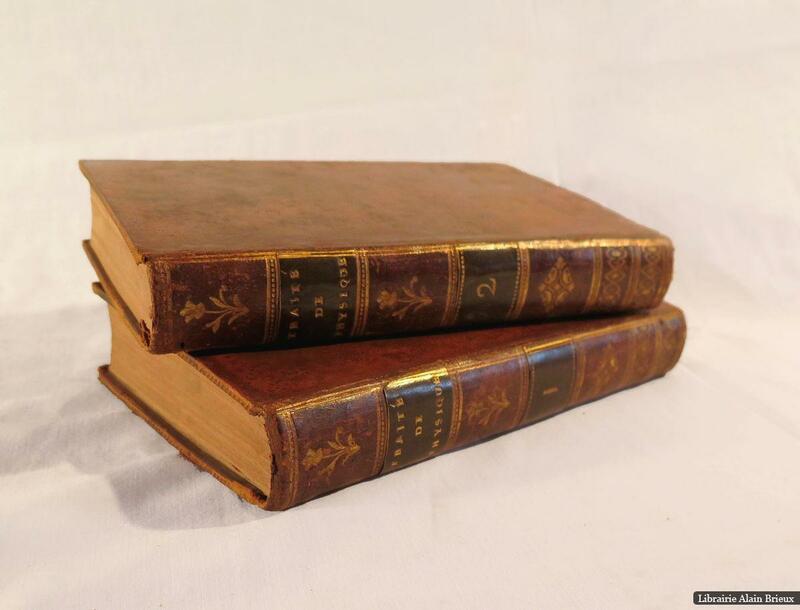 "; Oppenheimer Catalogue No.1589 (first editions of 1804 and 1805). MORE IMAGES ATTACHED TO THIS LISTING, ALL ZOOMABLE, FURTHER IMAGES ON REQUEST. POSTAGE AT COST. Vollständige Anleitung zur Vermehrung und Pflege der Obstbäume und zur Anlegung einer Baumschule im Grossen; nebst einer kurzen Uebersicht der Geschichte der Obstcultur. Köln, Reili, 1806.. Octavo. Pp. viii, 740, (8). 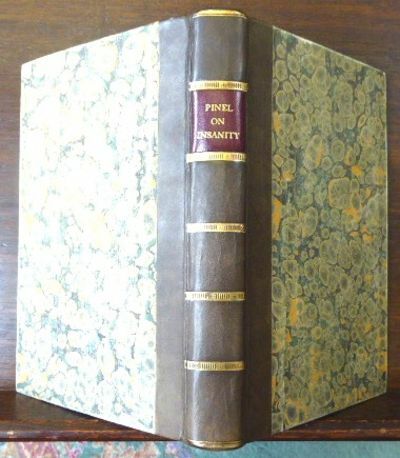 Hardcover, bound in contemporary half calf and marbled boards, rubbed and chafed in places, spine gilt ruled and with gilt morocco lettering-piece, marbled endpapers, old signature effaced from title. In a very good condition. Good clean interior in solid binding. ~ First edition. Provenance: Ex Libris Molewater de la Rive Box with handsome armorial bookplate to fist free endpaper; two identical illustrated oval stamps of Barmherzige Brüder Montabaur, and a calligraphed contemporary signature of Louis Clausen to blank prelim. Maps, Plans, Views, and Coins, Illustrative of the Travels of Anacharsis the Younger, in Greece, during the middle of the fourth century before the christian æra. London 1806, 4th ed. 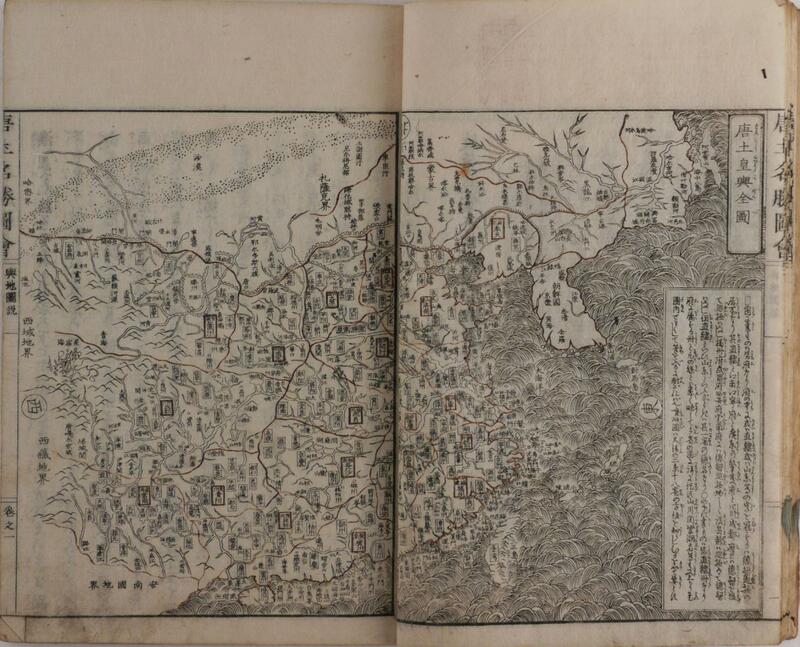 4°, 104 pp., engraved portrait and 39 engraved plans (some folding), views and maps, contemporary half calf, four first pages with some foxing on firat pages, minimal (2mm) piece of top of spine lacking, exlibris. 1806. A Court Document in Kent's Hand, Signed by Kent [Manuscript]. Kent, James [1763-1847]. [Court Document in Kent's Hand, Signed by Kent]. [New York]: February 5, 1806. 4 pp. 12-3/4" x 8-1/4" bifolium, docketed on verso of second leaf. Horizontal fold lines, a few with minor tears, light browning and minor edgewear. Content in small hand filling one page. $950. 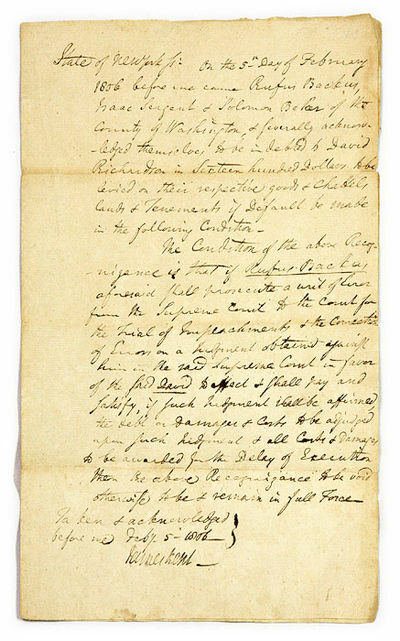 * A recognizance composed and signed by Kent when he was chief justice of the New York Supreme Court. It concerned a sum of $1,600.00 owed to David Richardson by Rufus Backus. This debt was related to land owned in Washington County, NY. Kent, the great judge and legal scholar, is known for his path-breaking his Commentaries on American Law (1826-1830) and precedent-setting career as chief justice of the New York Supreme Court (1804-1814) and chancellor of New York (1814-1823). 8vo. London: printed for Longman by T. Bensley, 1806. 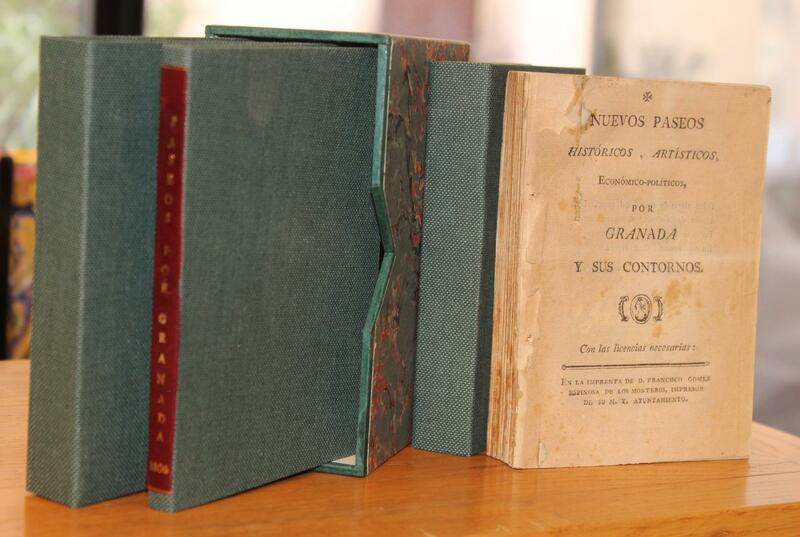 8vo, iv, xlviii, 172 pp. With a frontispiece by Blake engraved by Cromek, and three plates (one folding). Original (remainder?) binding of pebbled dark green cloth, red label lettered in gilt. A little worn, upper joint neatly repaired, slight marginal soiling within. Very good. First edition. Malkin knew Blake well and in the long preface he devotes 24 pages to an account of his friend's life and genius, the first recorded account of Blake by a contemporary. The text of this section was largely obtained from conversations with Blake himself. The biographical account of Blake and his poetry (pages xviii-xli) are described by Keynes as "the earliest available... obtained from Blake himself". 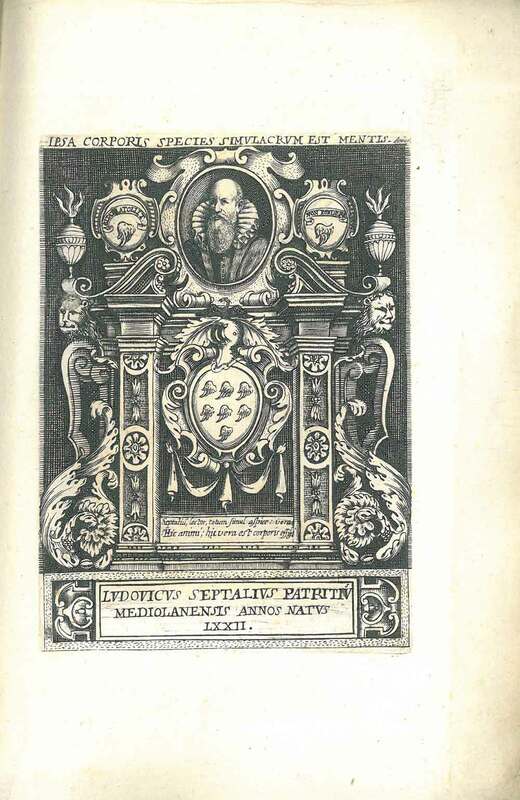 The text includes the first typographic printing of the poems "Laughing Song", "The Divine Image", "Holy Thursday", "I loved the Jocund Dance" and an interesting variant in the text of "The Tyger". The child was Malkin's son, apparently an infant prodigy who died at the age of seven. Bentley, Blake Books, p. 18 (a good note on the book) and #482. THE WORLD turned UPSIDE-DOWN Illustrated by Wonderful Prints. No imprint or date, but this title was advertised by W. D. Darton jun., and W. & T. Darton in 1806.This copy is watermarked 1805.  leaves, printed on one side only, each with a copper-engraving and verse below. Bound in recent quarter red sheep over marbled boards with vellum tips. 123 x 109 mm. The original pictorial pink wrappers, a little cut-down, are mounted on the front and rear pastedowns. The image is of a flying pig; the rear, Lambert of Leicester, 'dancing the tight rope.' First edition. In the second edition of 1809/10, the engraving of the butcher being bled by a sheep and a pig has been replaced by that of 'the bear turning showman'. Perhaps some parents complained at the brutality of the original image. Small tape repair to the blank verso of one leaf; few small marks; else a very good copy of this rare title. See Darton H1610. Mit Kupferttitel und 30 blattgr. gest. Portraits von C. Galle nach J. Francquart. 6 Bll., 288 S. Roter Lederband d. Zt. mit Rückenverg. und Deckenfileten. Goldschnitt. 21 x 16 cm. Alden 636/17 Funck 299. - Erste Ausgabe der Biographien wichtiger Mitglieder des Augustinerordens. Mit Exlibris George Thomas Wyndham (1806-1830, Cromer Hall, Norfolk). - An den Gelenken etwas gedunkelt. Sehr gutes und dekorativ gebundenes Exemplar! 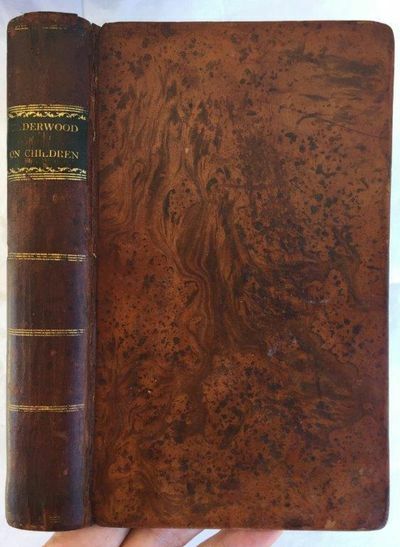 A treatise on the diseases of children, and management of infants from the birth . . . , licentiate in midwifery of the Royal College of Physicians in London; physician to Her Royal Highness the Princess of Wales; and Senior Physician to the British Lying-In Hospital. Second American, from the sixth London edition. 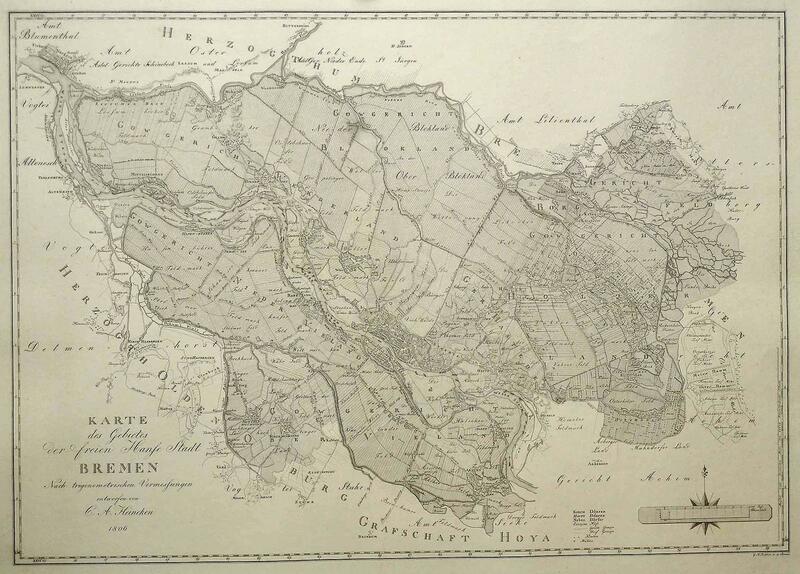 London: J. Johnson, 1806. First Edition. Calf. Near fine. 1st edition. 2 volumes. With ads and errata. Contemporary polished light tan calf, decorated and lettered in gilt, marbled endpapers and edges, armorial bookplate of the Earl of Ilchester. Some occasional foxing, else near fine.
. [An officers notebook including various standing orders, mess rules, pay rosters and receipts for disbursements relating to the 66th Berkshire Foot in Canada, and the 62nd Wiltshire Foot elsewhere]. [Annapolis Royal, Halifax, England and elsewhere]. [s.n., 1799-1806]. Oblong 7 x 4-1/4 inches. 44 sheets with 88pp unnumbered with occasional evidence of excised leaves, the odd blank. Interleaved throughout with blotting paper. Contemporary limp reverse calf, with the attractive printed label 'Sold by John A. Burton, Military Stationer, No. 2, Barrack-Street, (Opposite the Fountain), Dublin' to FEP. With the ink inscriptions of 'R. Lloyd. Lieu. 66th Regiment Sept. 26 '97' and 'T.S. Lyle, Lieut. 66th, Port au Prince' to REP. A miscellaneous military notebook in the possession at least one officer serving in the 66th Berkshire Foot during its service in Canada, with 23pp of 'Standing orders' for the 66th regiment while at Annapolis Royal (Nova Scotia), and several notes of disbursements and receipts of monies, largely 1799/1800, in Halifax (Nova Scotia). The inscription of 'S.S. Lyle, Lieut. 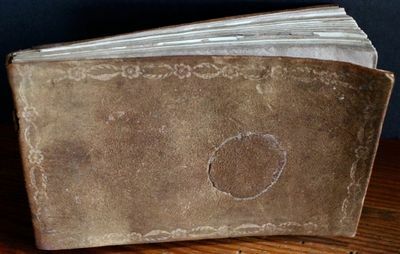 66th, Port au Prince' suggests that the notebook was perhaps purchased from an Irish stationer prior to the 66th's short service in Haiti, 1796-8. Later notes (dated 1802 and 1806) include, rates of full and half pay, mess rules in Jersey and reference to the activities of the 62nd Wiltshire Foot. R. Lloyd and T.S. Lyle, who both inscribed this volume and are presumably likely candidates for ownership, are listed as Lieutenants in the 66th Foot in the 1800 Army List. The 66th (Berkshire) Regiment of Foot was deployed to moved to Nova Scotia in early 1799 and on to Newfoundland in May 1800 before returning home in October 1802 and again to Canada in August 1827 before returning home in October 1840 The 66th Berkshire Foot served in the West Indies and Canada during the early years of the Napoleonic wars, returning to England in October 1802. Parma, Bodoni, 1806. In-folio (39,7 x 26,5 cm.). Elegante legatura moderna in mezza pelle verde con angoli, dorso con nervi e fregi oro. (6), XIX, (5), XIX, (5), 20, (2), CCXLVIII, (2) pp. ; senza due fogli bianchi; poche e lievi ingialliture ma esemplare bello e marginoso. Celebre e raro libro, stampato in soli 182 esemplari. Per la straordinaria varietà dei caratteri impiegati (molti esotici), tutti incisi dal Bodoni stesso, e per la cura con cui venne prodotto, è considerato uno dei più belli del noto tipografo e viene spesso paragonato al Manuale Tipografico; ma a differenza di quello, pubblicato nel 1818 (cinque anni dopo la morte del Bodoni), questo venne interamente composto da lui stesso. Brunet IV, 200: «Cette magnifique édition». Giani 178. Brooks 1003. De Lama II, 172-174: «Libro preziosissimo che fà epoca nella tipografia». A magnificent publication, one of the finest by Bodoni and limited to 182 copies only. 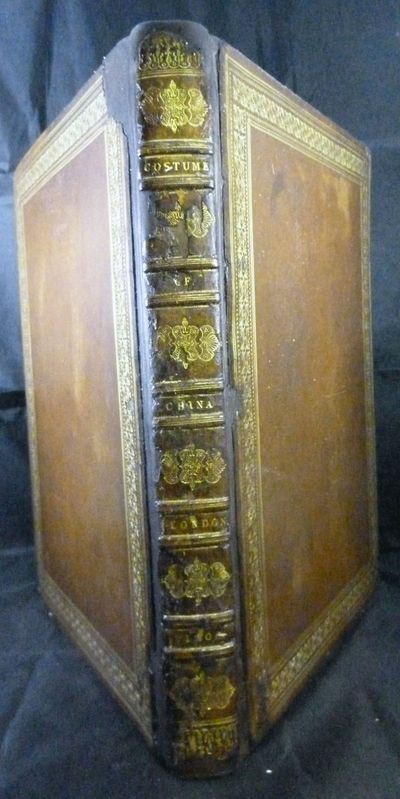 Modern half green calf, spine with raised bands and gilt; without two blank leaves and some very light foxing here and there, but a good, large and attractively bound copy. Natürliche Magie oder Erklärung verschiedener Wahrsager und natürlicher Zauberkünste. 2. verbesserte Auflage. Sheffield: W. Todd, for Messrs. Cadell and Davies, 1806. Rebound by master binder, red leather spine label. New endpapers. Fold-out table and two plates. (See photo). Brown spot at lower page margin from p.115 onward. Small crease mid-page from title-page to p.21 without loss of lettering. Book is divided into six sections; general information, moral treatment of insanity, malconformation of the skulls of maniacs and idiots, mental derangement, importance of enlightened system of police for management of lunatic asylums, medical treatment of insanity. 288pp. + plates. Pinel (1745-1826) was a French physician who was instrumental in the development of more humane approaches to the custody and care of psychiatric patients. See Norman 4922 for French edition of 1801.. First English Edition. 1/4 Calf Over Marbled Boards. Rebound/No Dust Jacket. Octavo. Reise um die Welt, in den Jahren 1800, 1801, 1802, 1803, und 180ß4, auf welcher der Verfasser die vorzüglichsten Inseln in der Südsee, und die englischen Colonien zu Port-Jackson und Norfolk-Eiland besucht hat. (Übs. v. Ph. Chr. Weyland). Kl.8, Fronti.-Radierung, 128 S. mit unzähligen Holzstich-Abb., alle altkoloriert., Privat.-Kart. d. Zeit, Berieben, Fronti mit kleinem Abriss am Seitensteg, etwas fingerfleckig und stockfleckig. Blätter 15/16 u. 33/34 fehlend. Neue verbesserte - Zur Kollation: Wie immer ohne die Seiten 15-16, die hier wie auch bei früheren Ausgaben wohl ausgelassen wurden. Radiertes Titelblatt, handkolorierte Holzschnitte als Rebusse (Bilderrätsel) in Text eingefügt. Mnemotechnische Anthologie bekannter Bibelsprüche, bei denen die Hauptworte durch rebusartige Holzschnitt-Illustrationen ersetzt sind. Am Schluß einer jeden Seite der vollständige typographische Text. - Inhaltlich mit der Ausgabe von 1806 übereinstimmend, jedoch abweichend gesetzt. - Dortmund Harenberg Kommunikation 1979. 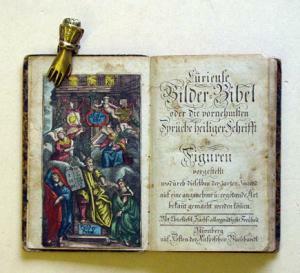 (149 S. 128 Tafeln mit farbigen Bilderrätseln Nachdruck einer Bilder-Bibel aus Nürnberg 1806. Beautiful playbill announcement for an upcoming performance of La Fille du Regiment (The Daughter of the Regiment), opera by Donizetti, with star sporano Henriette Sontag (1806-1854) as Marie. Niblo`s Garden, Feb 18th, no year mentioned but 1853 is written in pencil on the lower right end and we assume it maybe correct - this would be just months before she passed away at age 48. Also announced below is an upcoming performance of La Sonnambula, on Feb 21st, with Sontag as Amina. Size is 5.75 x 11.75 inches, a few rust stains, otherwise in excellent condition. Rare! Portolano del Mare Mediterraneo ossia guida dei piloti costieri. Nuova edizione, corretta, ed accresciuta delle Isole dell'Arcipelago, e delle coste del Levante, da un Moderno Navigatore. Tradotta da P.F*** coll'aggiunta della Costa di Calabria, e della parte del Sud della Sicilia, ec. 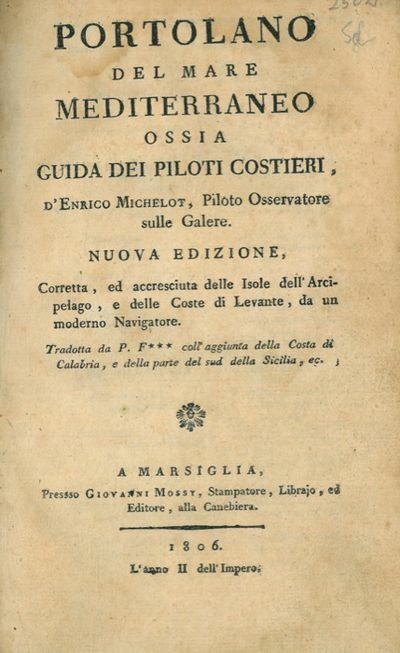 Marsiglia, presso Giovanni Mossy, 1806, 8vo piena pelle coeva con titoli e fregi dorati al dorso (qualche spellatura agli angoli) pp. (2)-XII-393. Dettagliatissima guida nautica, elaborata dopo anni di navigazione; descrive i porti, i moli, le baie, la maniera di entrarvi, i pericoli che si possono trovare lungo le coste, la profondità dei fondali, la distanza tra un luogo e l'altro e fornisce molti altri suggerimenti necessari alla navigazione.